This Item does not qualify for Family VIP Benefits. The newest version of the Hurricane combines all of Saucony’s technologies to create a ride that is comfy, cushioned, responsive, and stable. 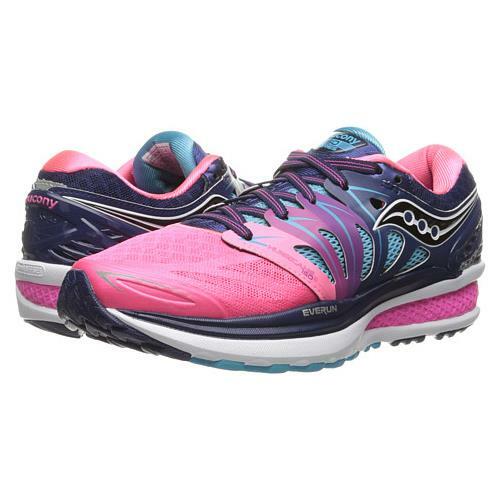 Your long run just became longer with the women's Saucony Hurricane ISO 2. This perfect blend of comfort and durability features an EVERUN topsole, delivering smoother transitions and all-day cushioning. Plus, the new ISOFIT upper helps stabilize your foot while you enjoy a long day on the road. "You guys are amazing, I ordered these after business hours on Thursday and 0930 on Monday they were sitting on my front porch. "I wanted to thank you for the prompt and professional responses. I am a business owner and also a fitness Instructor. I will be sharing your info with my employees and students! You have definitely won my repeated business! Take care.